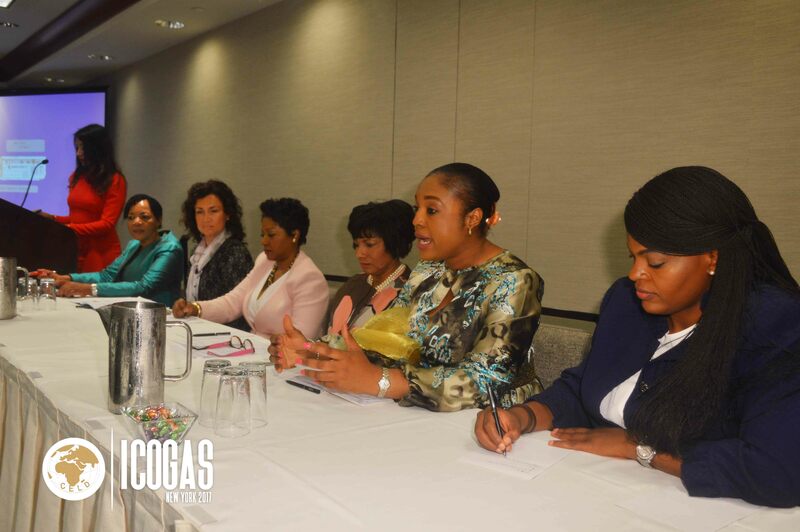 It was a glamorous, enriching and inspiring experience for all participants, as female heads of Governments, world’s first ladies, female business leaders, academics and research scholars, gathered at the 1st International Conference on Gender & Sustainability (ICOGAS) New York 2017, on September 21st, 2017, at the New York Hilton Midtown, New York USA. 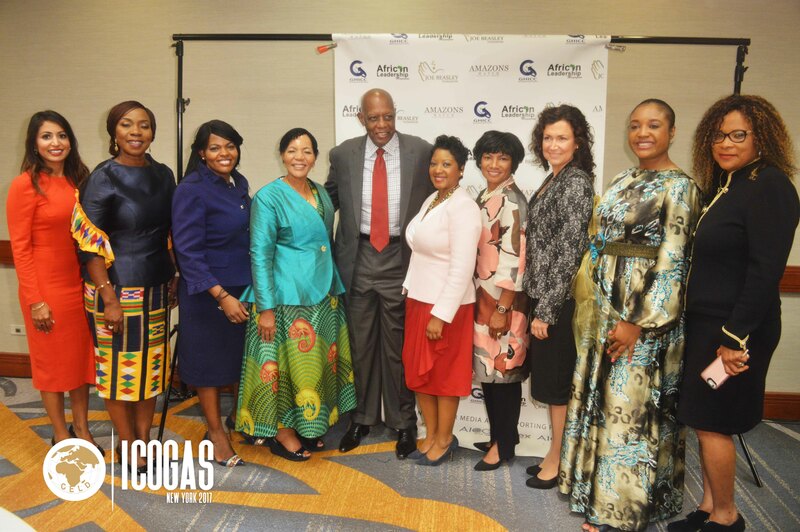 The Conference, put together by the Centre for Economic and Leadership Development, in collaboration with the African Leadership Magazine, was organized as a global platform with a focus on utilizing the unique perspectives of women in delivering strong sustainability projects and quantified impact; as well as to honor and recognize contributions of women impact leaders from the developing world. The conference also aimed to honor women and organizations across all regions, who are working to promote sustainable development in their communities in a bid to encourage a replication of more efforts in this direction. The President of the Republic of Mauritius, Her Excellency, Ameena Gurib-Fakim, delivered the keynote address, at the conference. 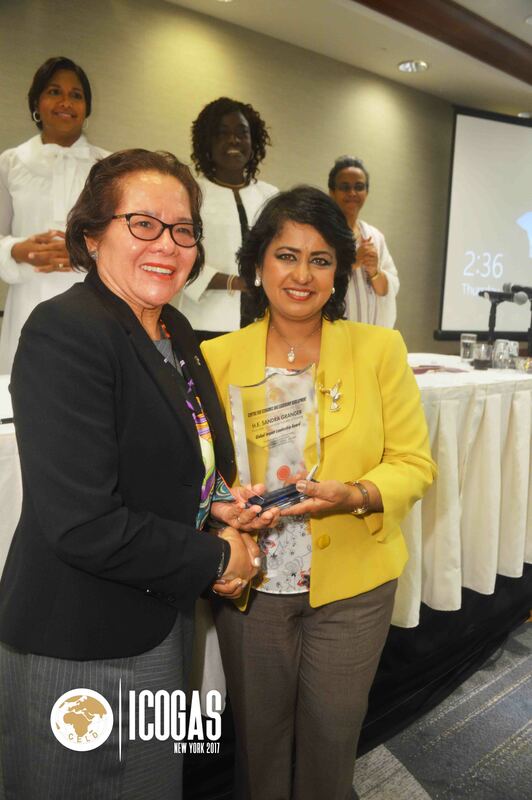 In her remarks, President Gurib-Fakim said the award was “a sign of recognition of the considerable contribution of hundreds of African women. 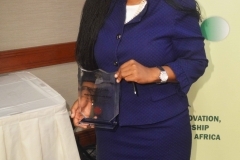 It is a fact that African women are at the center of the continental developmental agenda. 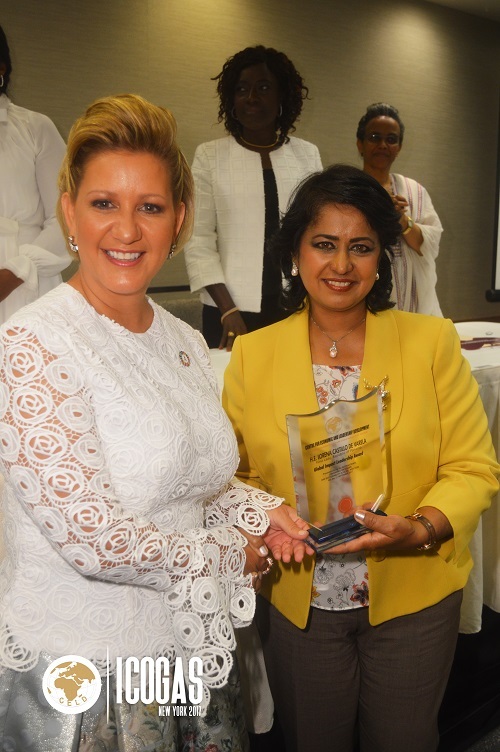 Their contribution is unfortunately rarely valued and recognized.” President Gurib-Fakim was honoured with the Global Inspirational Leadership Award. In his welcoming remarks, Ambassador Joe Beasley, Chairman African Leadership Advisory Board North America, stated that the summit was significant in its agenda to inspire a rethink on not just our sustainable future and the UN-backed global Sustainable Development Goals (SDGs), but also in developing unique homegrown solutions to the problems and challenges facing the developing world today. As part of key highlights of this conference, there were three (3) high-level panel discussions: First Ladies on a Mission Roundtable Session, Global Female Business Leaders Roundtable Session, and Gender & Global Sustainable Development- Roundtable Discussion. 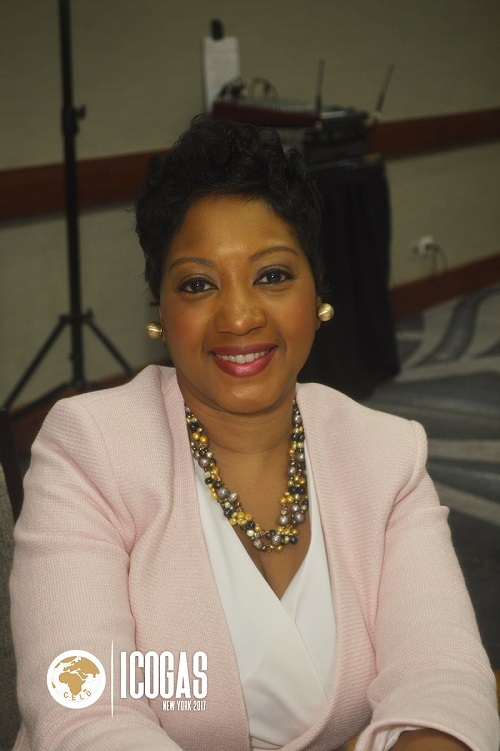 The First Ladies on a Mission Roundtable featured H.E. Reema Carmona, First Lady, Republic of Trinidad and Tobago; H.E. 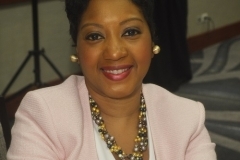 Dominique Quattara, First Lady, Republic of Cote d’Ivoire; H.E. 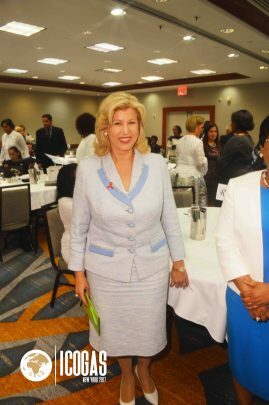 Lorena Castillo de Varela, First Lady, Republic of Panama; H.E. 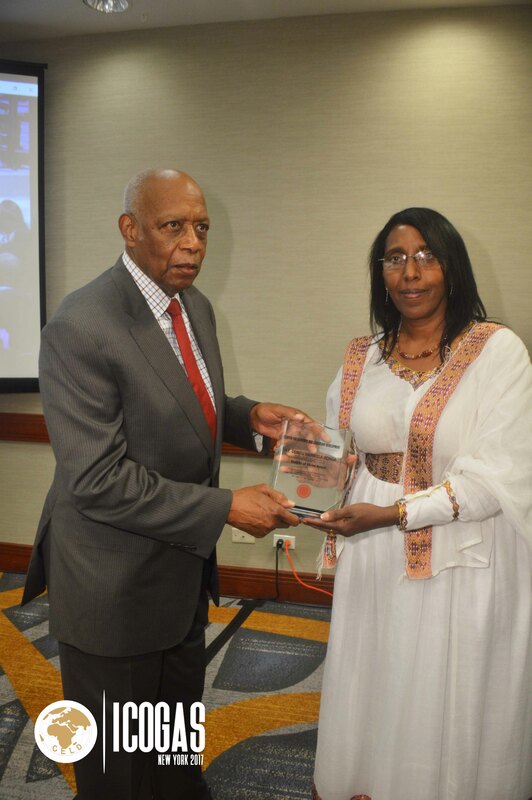 Roman Tesfaye, First Lady, Federal Democratic Republic of Ethiopia; and H.E. 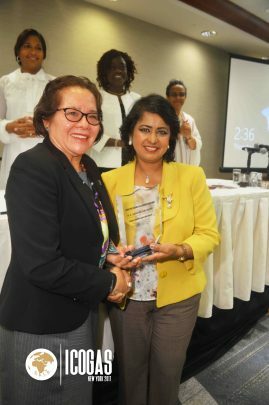 Sandra Granger, First Lady, Co-operative Republic of Guyana.The first ladies highlighted the need for a holistic view and approach to the challenges facing their respective communities and nations, to influence the desired change sought. The Global Female Business Leaders Roundtable Session starred Dr. Anna Mokgokong, Honorary Consul of Iceland & Executive Chairperson of Community Investment Holdings, South Africa; Desiree Bombenon, President and CEO of SureCall Contact Centers Limited, Canada; Ebelechukwu Nwachukwu, CEO, Zenith General Insurance Company, Nigeria; Dr. Namane Magau, CEO, Business & Development Solutions, South Africa; and Anna Cecilia Frellsen, CEO, Maternity Foundation, Denmark. 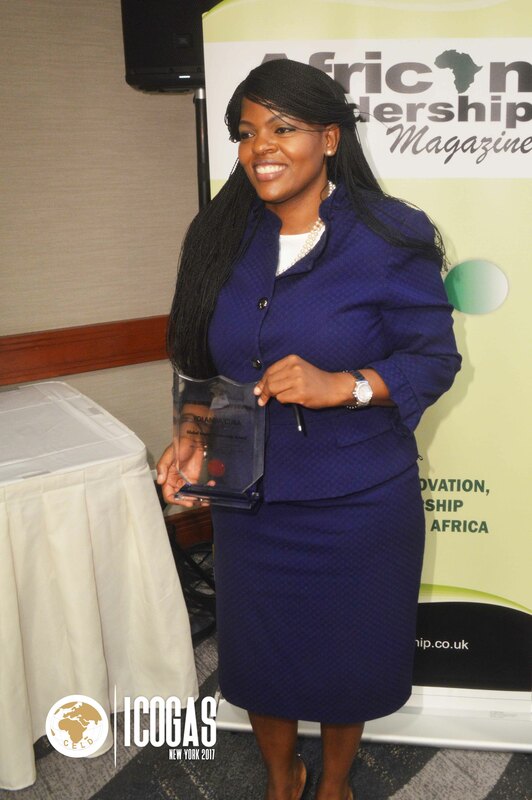 The businesswomen centred on using innovative approaches in delivering economic sustainability for women in the business world. 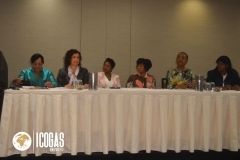 Members of the Gender & Global Sustainable Development- Roundtable Discussion were Cindy Pace, Vice President Global Diversity & Inclusion, Metlife, USA; Eva VAti, Head of Sustainability, Ework Group Sweden, Rosalind Hudnell, Vice President, Intel Corporation & President INTEL Foundation USA; South African Yolanda Cuba, CEO Vodafone Ghana; and Natalie Chinje, Founder & CEO, Upbeat Marketing Pty, South Africa. 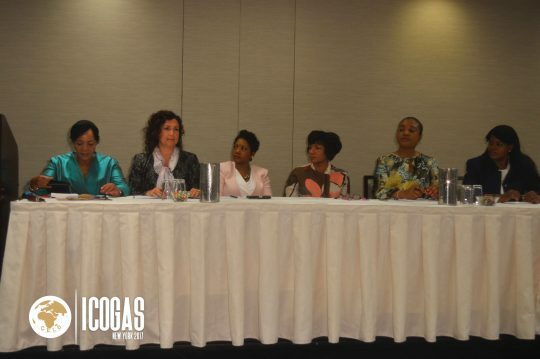 Panel members shared best practices and their personal experiences and stressed, among other things, the need for women, who aspire for corporate leadership in boards and organisation, to build their competencies, accountability and qualifications just as men, and not aspire to leadership based on entitlement mentality. 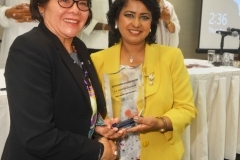 The conference also had the presentation of awards to leaders across broad spectrum of society who have uniquely distinguished themselves in every aspect of human endeavors were honored for their work in promoting sustainability. 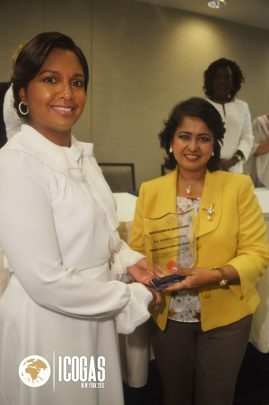 2017 awardees included H.E. 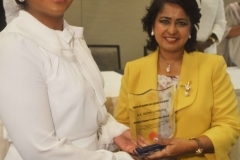 Ameenah Gurib-Fakim, President of the Republic of Mauritius; H.E. Reema Carmona, First Lady of Trinidad & Tobago; H.E. 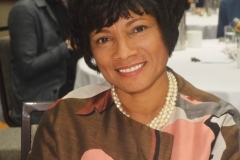 Mrs. Dominique Quattara, First Lady of Cote d’Ivoire; H.E. 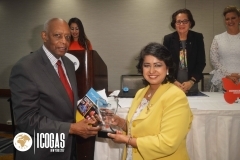 Mrs. Lorena Castillo de Varela, Panama; H.E. Mrs. Sandra Granger, First Lady Guyana; and H.E. 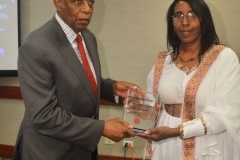 Mrs. Roman Tesfaye Abneh, First Lady of Ethiopia. 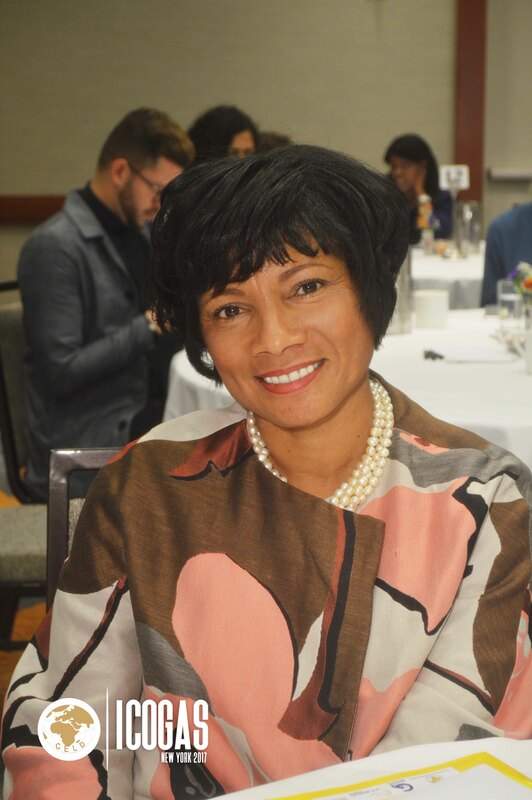 Others were H.E. Demitu Hambissa Bonsa, Minister of Women and Children Affairs, Ethiopia; Anna Mokgokong, Executive Chairperson of Community Investment Holdings, South Africa; Yolanda Cuba, MD/CEO, Vodafone Ghana; Ebelechukwu Nwachukwu, CEO, Zenith General Insurance Company, Nigeria; Namane Magau, CEO, Business & Development Solutions, South Africa; Dr. Natalie Chinje, Founder & CEO, Upbeat Marketing Pty, South Africa; and Mr. Wondu Bekele Woldemariam, Executive Director of MWECS, Ethiopia; Debrework Leuelseged, General Manager of Ye EnatWeg Charitable Association, Ethiopia; Nigest Haile, Founder and Executive Director of CAWEE, Ethiopia.